Isabella is my grand-daughter. 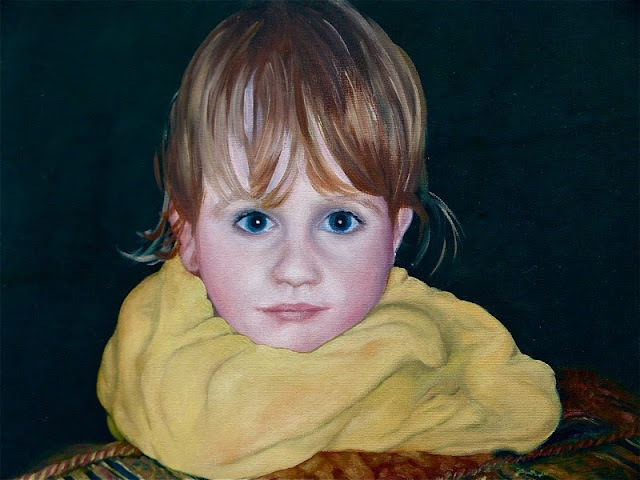 She was three years old when I did this painting of her. I painted it from a photo I took while I was babysitting. She was very tired and in bad form at the time and very reluctantly agreed to me taking the photo, though she refused, point blank to smile!